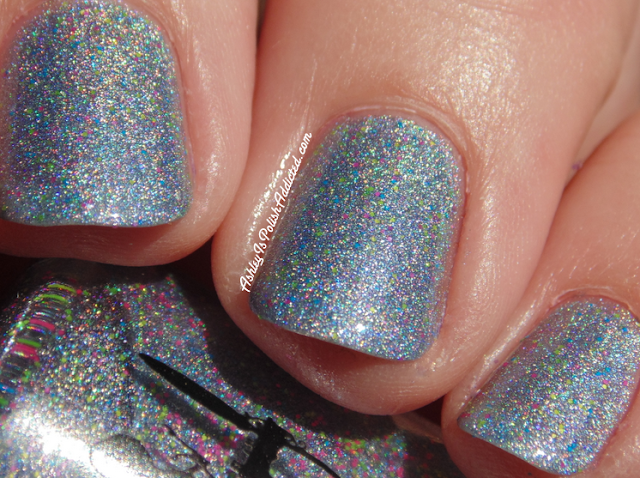 Stardust is a silvery blue base with my favorite type of holo - it's more of a "subtle linear" or "tightly scattered" holo that just glows from within but still allows the base to shine through. It also features matte neon microglitters in pink, blue and green that really add a pop without being overpowering. 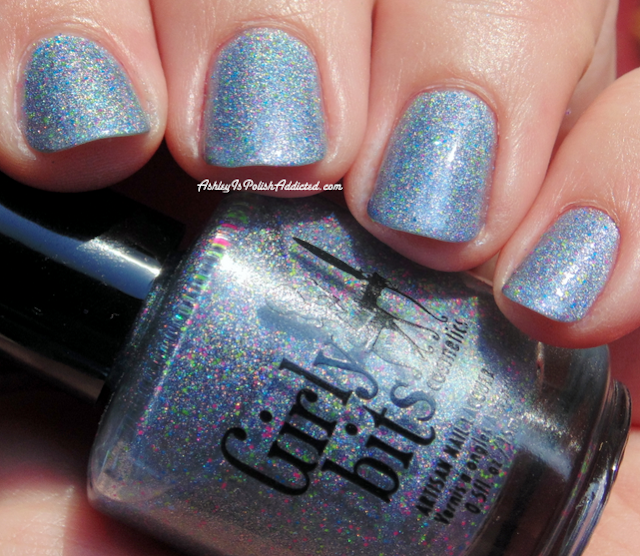 It really sparkles in the sun and the matte neon glitters add a lot of interest in the shade! The formula was smooth and easy to work with, no issues at all. I am showing two coats with one coat of top coat. I apologize for the lack of inside photos, I am experimenting with my lighting and wasn't happy with any of the artificial lighting pics. This polish will be released on Friday, August 28th, along with What Happened in Vegas... Ends Up on Snapchat and the What Really Happened in Vegas Collection. Will you be adding it to your collection? I'm dying to get my hands on this polish! It's beautiful and I love the name. Thanks for the great swatch!